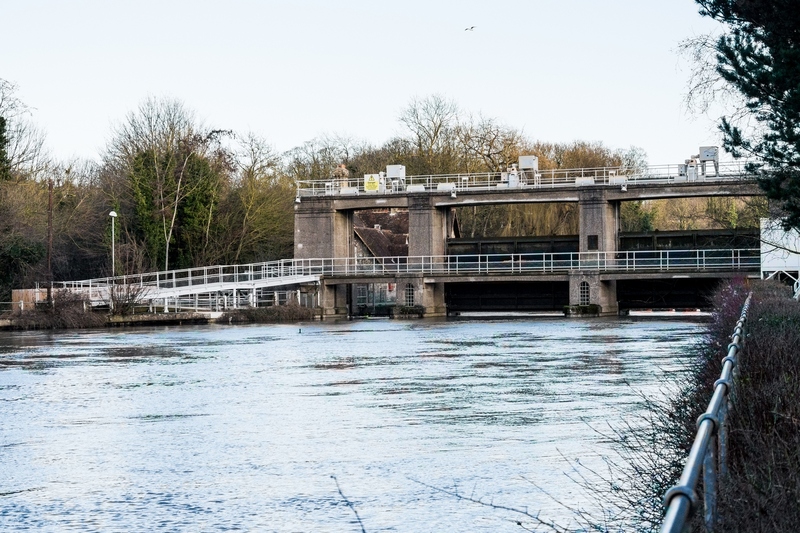 Built in the 1930’s, the Allington sluice lock gate is the last on the Medway before it becomes tidal. During 2010 the sluice underwent a major refurbishment including new gates, lifting gear and gantry, repairs to the concrete structure, a new fish pass and new disabled access ramps. Although the sluice is not listed, due to its location adjacent to the Museum of Kent Life, the Environment Agency took a very keen interest in the structure and the refurbishment works. 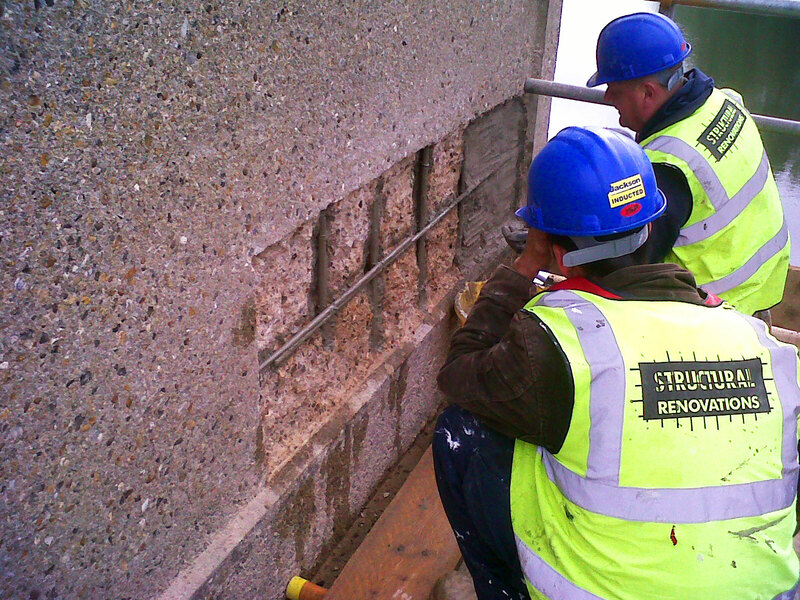 Any areas of concrete that had spalled due to seventy years of weathering were therefore required to be repaired sympathetically to match the existing concrete finishes. We were employed by the Main Contractor, Jacksons Civil Engineering, to undertake initially trial samples in order to create a repair material that could be applied over the polymer modified structural repairs. This involved design of a range of mixes and bonding primers together with sourcing suitable sands, aggregates and cements. Following the successful completion of the trials, we were awarded the contract for both structural and cosmetic repairs that were carried out in 3 phases throughout the year. Upon agreement of the extent of repairs, defective concrete was broken out to expose the corroded reinforcement, which was then prepared and primed using a cementitious coating. Where corrosion to the steel was excessive, additional reinforcement was fixed. Repairs were then carried out using a weber prebagged hand applied polymer modified repair mortar to within 15mm of the original profile. Repairs were completed by priming with a weber epoxy resin and whilst tacky the application of the approved mix from the trials. Surfaces were then abraded to remove laitance exposing the aggregate matrix to varying degrees. Where appropriate, a soot wash was applied to the finished repair to simulate the result of many years of weathering of the concrete. Resin injection techniques using weber.tec EP resins were also used to repair cracks where there was no evidence of reinforcement corrosion.